I wrote this article for Guardian Nigeria last month, here is my original copy with pictures included. 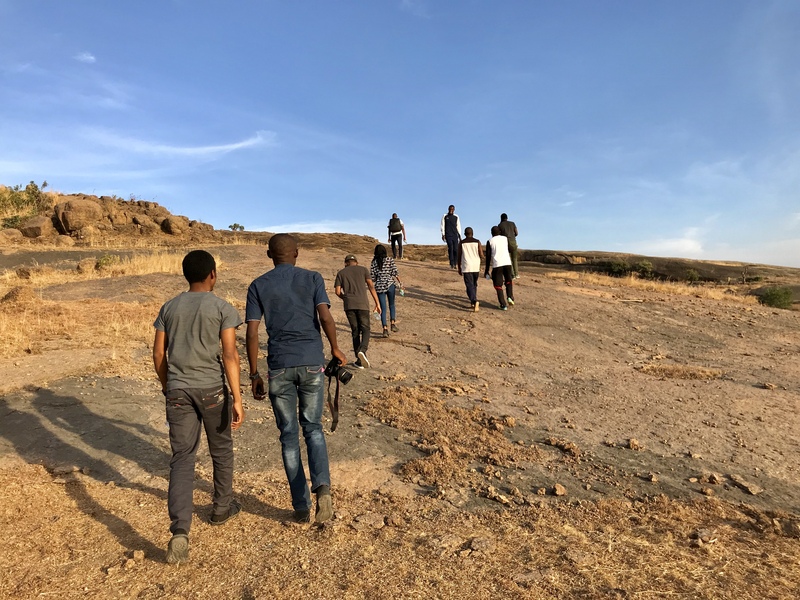 Hiking in Nigeria is still not much of a culture here but we are getting there gradually with numerous hiking groups that have surfaced recently especially in places like Jos, Bauchi and Abuja. Getting out into nature, clearing your head and getting fresh air – these are the things that can keep you sane and healthy in a place like Nigeria where a lot of things frustrates you. But you want to be smart doing it, too! 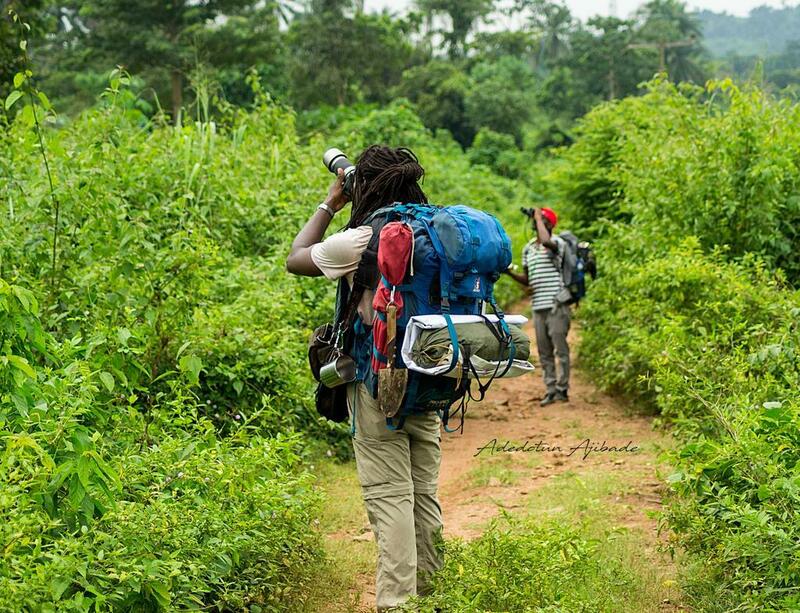 Nigeria is blessed with a lot of beautiful nature landscape, so why not explore and hike around them. Whether under a cool shelter of trees in the forest, on a golden hillside in fall, or a tall ridge top of a waterfall, a wide variety of natural trails provide locations for leisurely strolls or strenuous mountain climbs. 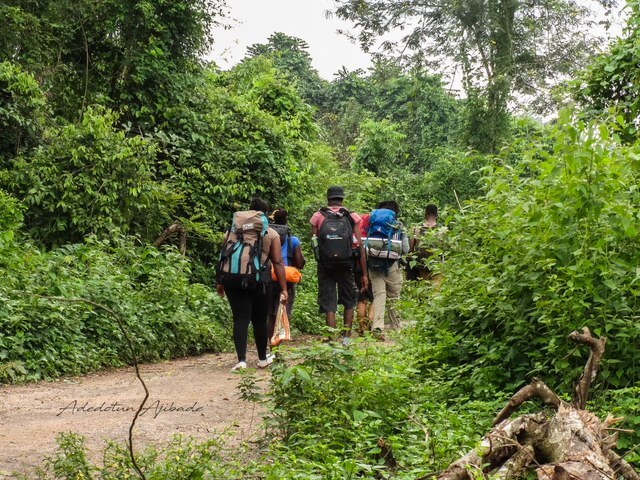 Exploring places you can only get to by foot is a good way to burn fat and get your body in good shape From our numerous hikes in Nigeria- forest, national park, resort or on a city trail, there’s plenty of trails to enjoy but to fully enjoy your hike there are some things you should have. Don’t just hop out of your bus and start hiking with no direction, this is Nigeria most forest, hills have mystical stories you need to know beforehand, that way you know the do’s and don’ts. At Idanre hills for instance, there are spots that are restricted from visitors. 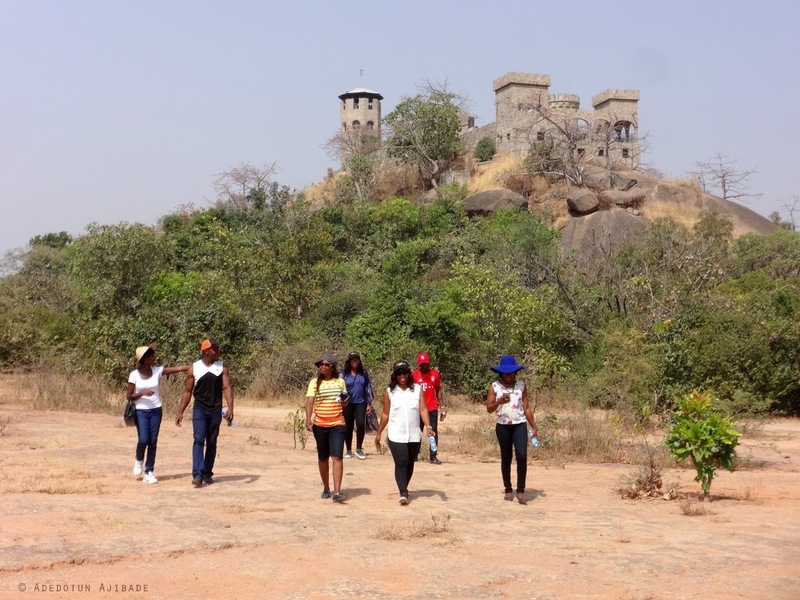 So what makes hiking in Nigeria different? Well, first most hike sites in Nigeria don’t have trails marked out or hiking directions, take for example Erin Ijesha, to get to the last hike spot you need to ask locals, no signpost or whatsoever indicating you’ve gotten to the very end, so to hike always have a tour guide, and they are mostly available at the hike location for a fee (no standard price most times you have to haggle around till you agree on a price), if you don’t find one get a local that will take you around. Comfortable Clothing– A light t-shirt and probably trousers that you’re comfortable with, I have gone hiking once and someone wore full traditional regalia, he probably must have mistaken hiking for a wedding. Insect Repellent– Insect especially mosquitoes and soldier ants are never friendly especially during long hike in dense forests (like the hike to Owu falls in Kwara State), if you have insect repellents apply to skin, clothing, or other surfaces to discourage insects . A soldier ant in your pants is a ticking time bomb waiting to explode. 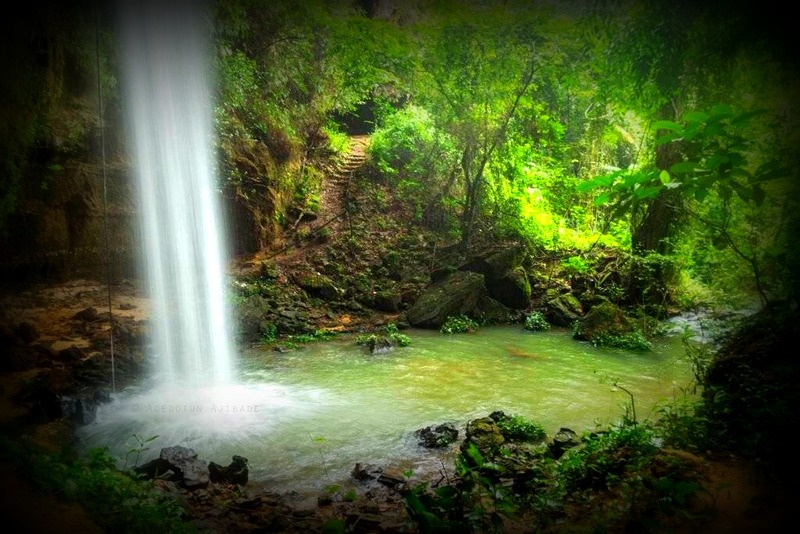 6-Awhum waterfalls – It is located in Udi local government area in Enugu state, South east Nigeria. Obudu waterfalls – It is located in the forests of Obudu mountain in Cross river state, South -south Nigeria. Adebayo Mayowa Blades- is an Adrenaline Junkie., Story Teller , loves to travel, crack dry jokes and think he is a chef.